To address this challenge, we propose composite replicated data types, which formalise a common way of organising applications on top of eventually consistent stores. Similarly to an abstract data type, a composite data type encapsulates objects of replicated data types and operations used to access them, implemented using transactions.We develop a method for reasoning about programs with composite data types that reflects their modularity: the method allows abstracting away the internals of composite data type implementations when reasoning about their clients. 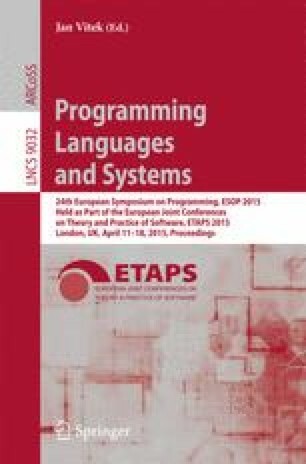 We express the method as a denotational semantics for a programming language with composite data types. We demonstrate the effectiveness of our semantics by applying it to verify subtle data type examples and prove that it is sound and complete with respect to a standard non-compositional semantics. We thank Giovanni Bernardi, Sebastian Burckhardt and Andrea Cerone for many interesting discussions and thoughtful comments about our results and the paper. Our work was supported by the EU FET project ADVENT and EPSRC.